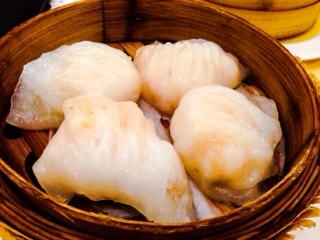 Their har gau or crystal prawn dumpling (L) and siu mai or pork dumpling (L) were both decent. 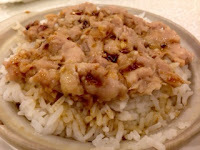 The pork version the better of the two, juicy and studded with shrimp and mushrooms. 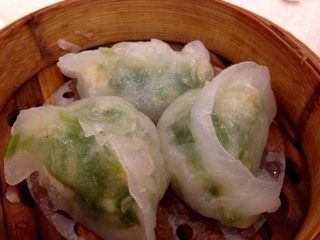 The steamed seafood and chive dumpling (L) was good as well with plenty of plump shrimp and added flavour from the fresh chives. Of the two dishes, the steamed squid with shrimp paste (L) is generally my favourite, but it’s execution at Elegance varies in terms of flavour - on one visit containing little taste and another much better but tasted more like spicy XO sauce than shrimp paste. Meanwhile, the steamed squid with curry sauce (M) is more consistent and on all visits have had a hefty helping of curry. Since it’s fresh from the steamer, the minced beef ball with orange peel (S) arrives puffy and voluminous - eat it quickly to avoid a shrunken dense ball. 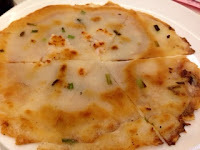 The mixture had nice flavours but given little lines the bottom of the dish (typically tofu sheet, peas, watercress or corn) it does tend to stick to the dish. 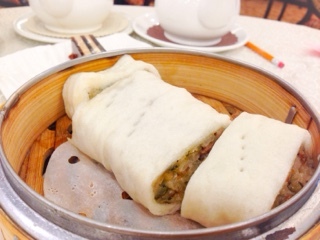 The steamed rice roll with Chinese donut or prawn (L) were both satisfactory versions of the traditional dim sum. 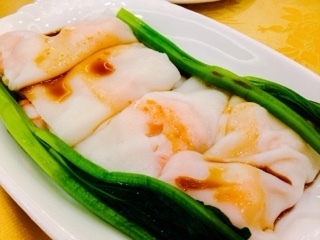 The silky rice sheets are thin enough yet have elasticity to it. 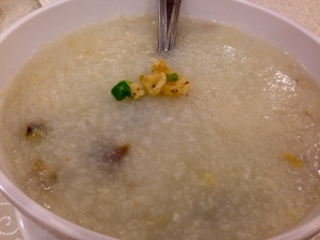 Surprisingly, their bowls of congee (L) are rather large. 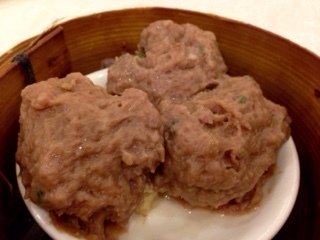 The minced fish and preserved egg version pictured below was a tad bland for me. 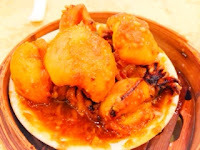 Personally, I enjoyed the spare ribs and dried fish style more, which although sounds strange had more flavour and plenty of meat. 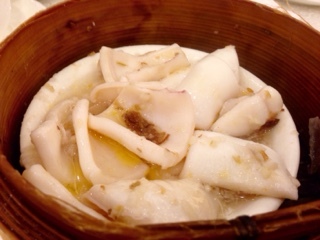 The minced pork and cuttlefish steamed rice (M) lacks the crusty bottom normally found in hot pot steamed rice. However, this is typical for dim sum versions as other than Dragon Dynasty the rice is precooked and later steamed with the ingredients afterwards. The steamed chicken version is also tasty with plenty of meat along with black fungus. 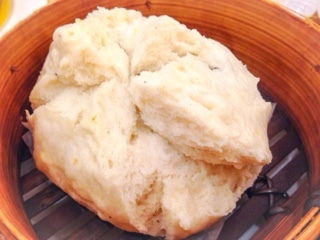 Elegance’s steamed buns were disappointing. 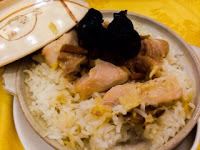 The large chicken with ginger sauce (M) variety lacked ingredients other than the named chicken (there’s usually Chinese sausage and mushrooms as well) and the bun had a gluey layer between the bread and chicken. Similarly, the steamed sticky rice roll (M) was a poor interpretation of the dish where the glutinous rice mixture lacked flavour. Made with glutinous rice flour, the pan-fried seafood cake (L) had a chewy doughy texture and crisp edges. In all, the dish was fine, but a tad greasy for me. 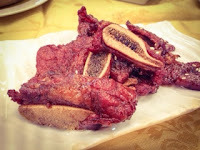 Another special dish is the veal ribs with honey sauce (L), which had a delicious sweet glaze and was relatively tender. 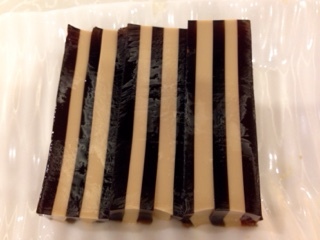 Elegance does offer some delicious desserts, despite not being described incorrectly. 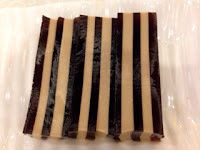 The coffee sweeten cake (M) is more of a gelatin than cake but the layers of deep coffee and creamy jello were delightful. 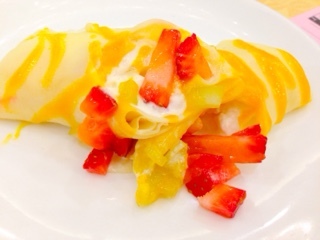 Similarly, the mango pancake roll (M) should be described as a crepe but contained a fair portion of fruit and light whipped cream. 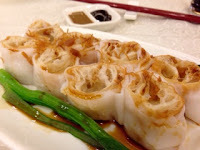 Overall, the dim sum at Elegance isn’t fantastic and generally the flavours can vary (sometimes bland and other occasions well-seasoned). 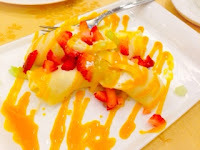 Nonetheless, compared to other restaurants it isn’t too packed so you shouldn’t wait more than 20 minutes. 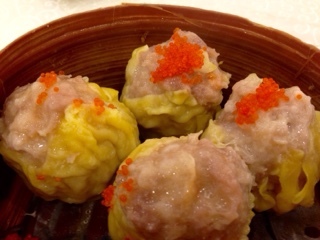 For a dim sum fix, it’s a good compromise.